British artist Louis Masai is travelling across USA in Autumn 2016 to begin his attempt to tackle species extinction through art. 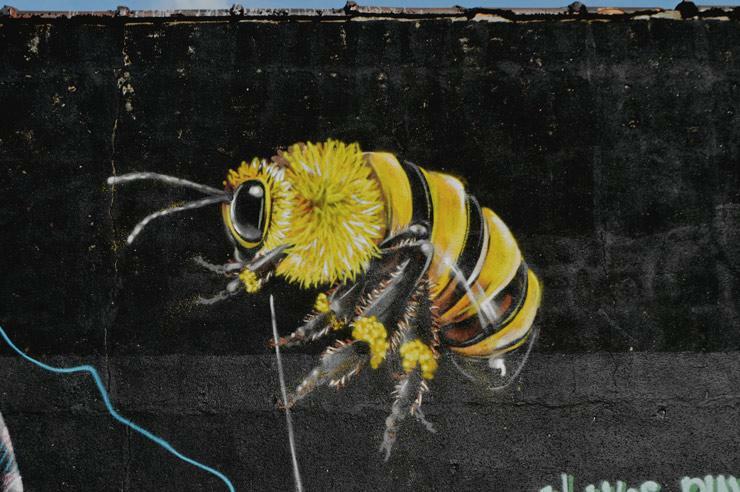 This ambitious project and 20 murals coming to 12 cities in two months, reflects the fast escalating extinction crisis. With the first in a series of short films documenting his tour, to unearth the truth about man's relationship with nature in the US, what's holding society back from acting and whether it is indeed possible to stop the extinction crisis. The London based team capture reactions to Masai's work and investigate what is required on a social scale to truly make an impact. With nearly one in four mammals under threat in the United States, The Art of Beeing highlights local species at risk and the urgent need to act on climate change and environmental degradation. Filmed at a time of great political consequence, each film explores if and how individuals are coming together, much like bees, to put nature first. But, the big question is: can they really discover the true 'Art of Beeing'?